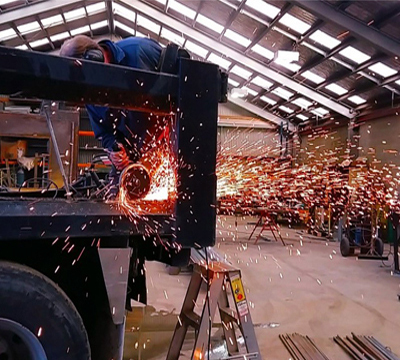 We design and manufacture to your requirements a range of custom built engineering solutions from our large workshop just fifteen minutes west of Christchurch. Based in West Melton Canterbury just 15 minutes west of Christchurch behind the I-Zone and I-Port industrial hubs, Lyndon Engineering Ltd has been designing and manufacturing engineering solutions since 1974 when David and Lynn Lyndon started the business in Kirwee. Our business location is well suited for clients in both West Christchurch and the greater South Island regions. Our key suppliers and staff all reside in the Christchurch and Selwyn district and this has enabled us to manage our business operations with even more success. These days the company is owned by Elton Hyde & Rachelle Lyndon which means we now have a fourty five year track record as a family run company. The traditional agricultural implements business division, known as Lyndon Harrows, is still very important to the business with our harrow customers coming back to us with what is now several generations of family and commercial farming operations across New Zealand. 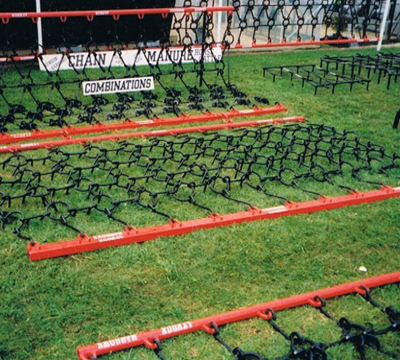 Our harrows are consistently considered to be the best on the market in both design and fabrication providing excellent ‘whole of life’ value to a wide range of agricultural businesses. Alongside the agricultural implements business we have experienced significant growth in our custom , industrial and structural engineering division and this has seen the company expand steadily since 2014 when Elton and Rachelle took on the business. With trusted suppliers across the country, robust design solutions in-house and a commitment to quality, health and employee safety we are a company that can be trusted to be your engineering solutions partner.